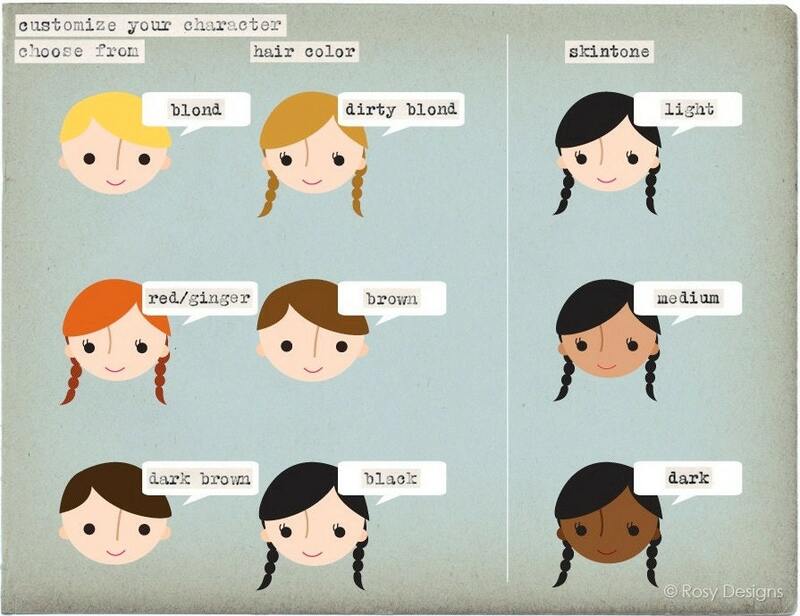 This listing is a ONE-TIME DESIGN CUSTOMIZATION fee: Customize the text, choose the hair and skin tones to match you and your new wife! Printing fees are separate (see below). This fee does not go towards printing and is only for customization. DIY orders are politely declined (digital files are not available for sale). Looking for something different? Please contact me with any custom requests. Each flat card measures 4 x 5.5 inches and is printed on the front only (blank back) on heavy matte card stock. Plain white A2 envelopes are included. Also available as matching Wedding Invitations, Save the Date, and Thank You cards. Please inquire! 1. 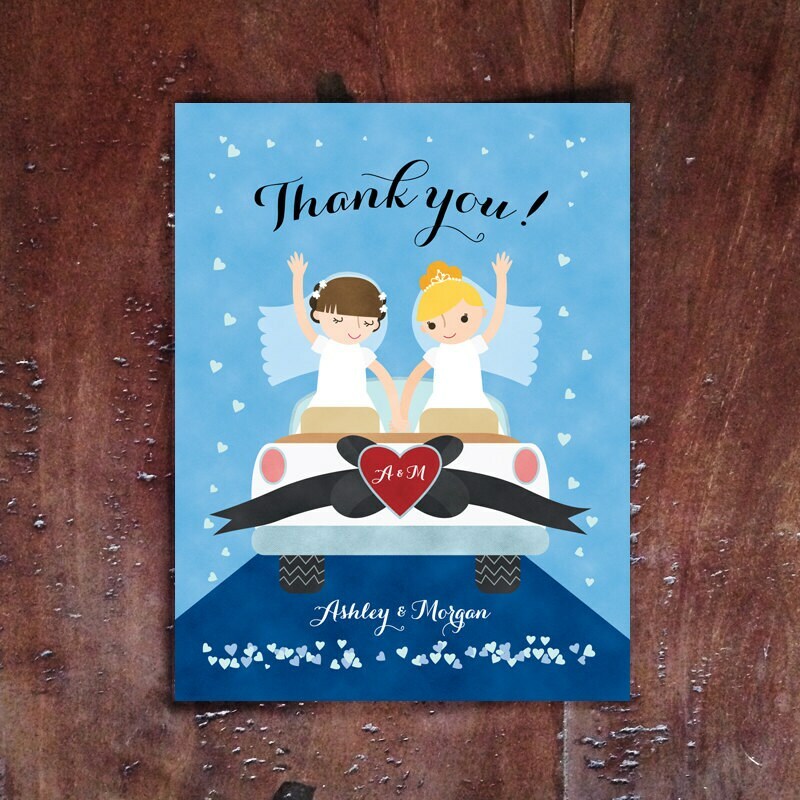 ORDER: Purchase this customization listing to get started on your invitation. This listing is only for the customization design fee and does not include printing. Please note, I do not offer digital files for DIY orders. Customization usually takes between 3 – 5 business days. 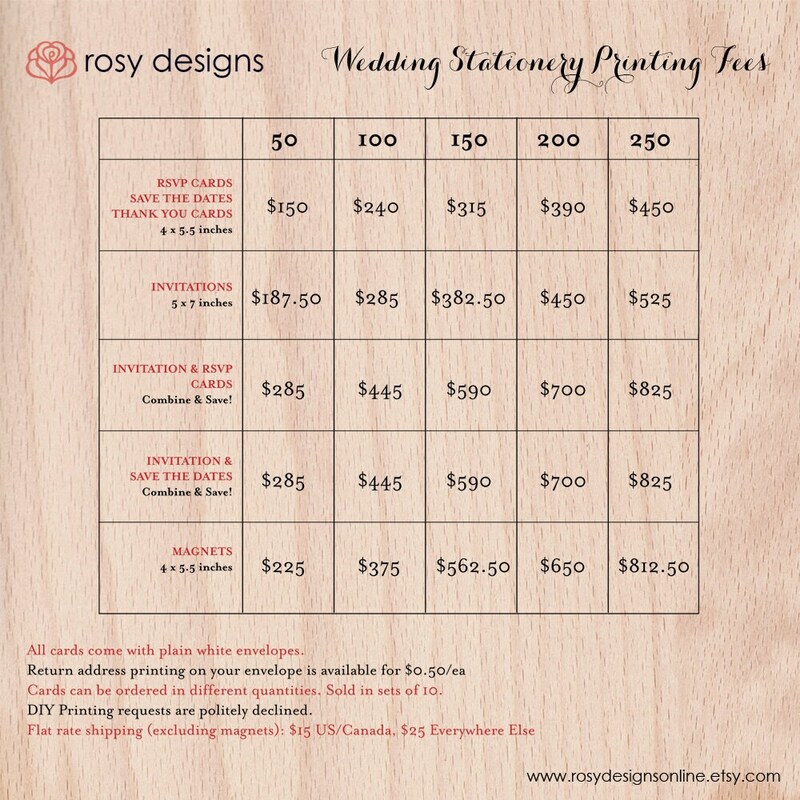 I will create a custom listing for you for the printing fees and your balance is due before printing begins. I will print your invites once the proof has been approved, and printing usually takes between 3-5 business days. I ship worldwide. Shipping is standard rate shipping. $15 flat rate for Canada/US, $25 for Everywhere Else. If you require rush service/shipping, please contact me. Due to the nature of this product, refunds cannot be offered. 4x5.5” postcards with plain white A2 envelopes included. If you need a different quantity, just let me know and I can make a custom listing for you. Magnets are like the postcards but with a magnetic backing. Available in packs of 10! Plain white envelopes included. Order with the matching invitation and get a discounted combo price. Refer to the pricing chart in the images for more info. Send us an Etsy Conversation message with any questions or custom order requests.